Seabirds, sea turtles and marine mammals can be unintended victims – by-catch – of global fishing. Accidental entanglement in fishing gear is the single biggest threat to some species in these groups, according to a new analysis co-authored by Stanford biology Professor Larry Crowder that provides a global map of this by-catch. During the past half-century, fish hauls around the world have increased from about 19 million tons per year to more than 154 million tons per year. By-catch doesn't help anyone but can lead to "major changes in ecosystem function and process," the study's authors write. By-catch also damages fishing gear and wastes fishermen's time and money. Accurate data on global by-catch are hard to find because fishing is dangerous and unqualified on-ship observers are a liability in a culture where fellow sailors will risk their lives to save someone. "Some of the earliest by-catch issues involved marine mammals taken in purse seines (large nets with floats) and shrimp trawls that drowned sea turtles," said Crowder, science director at the Center for Ocean Solutions. "The problems were ultimately solved by scientists who clearly defined the problems and by managers and fishermen who sought innovative fishing methods to allow fisheries and protected species to coexist." To fill the gap, Crowder and Rebecca Lewison, the lead author of the paper and a co-leader of the study, directed a research team that looked at hundreds of peer-reviewed studies, reports and symposia proceedings published between 1990 and 2008 to obtain a global perspective on what kinds of animals were being caught, where they were being caught and the types of gear in which they were trapped. They then compiled all of this information into a single comprehensive map and dataset. "It highlights the importance of looking at the by-catch issue across different species, fishing gears and countries," said Lewison, an ecology professor at San Diego State University. "When you do that, it makes it clear that to address by-catch, fishing nations need to work together to report and mitigate by-catch. No single country can fix this." Marine mammal by-catch is highest in the eastern Pacific and the Mediterranean. Sea turtle by-catch is most prevalent in the southwest Atlantic, eastern Pacific and Mediterranean oceans. Seabird by-catch is highest in the southwest Atlantic and Southern Indian oceans. 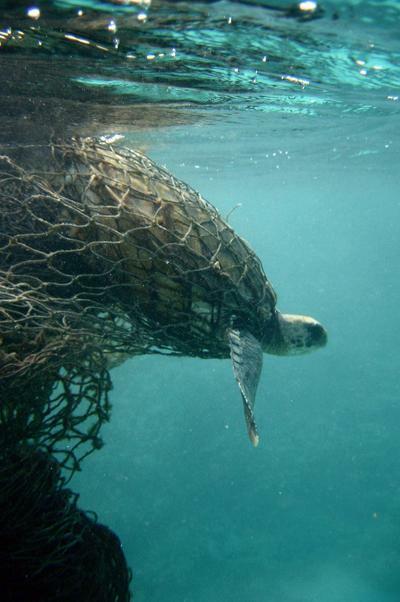 Expanding the use of by-catch mitigation tools such as turtle excluder devices is only part of the solution, according to the study's authors. Community engagement is key in less-regulated, small-scale fisheries. To make meaningful headway, researchers and managers need more data on the extent and distribution of global fishing. "Reducing by-catch levels in coastal fisheries sectors will require coordination across national boundaries using integrated approaches that link conservation action with sustaining human livelihoods, incentives and commitment to protecting the environment," the study's authors wrote.